New Year Eve is a very busy time of year and there is so much to do. There are presents to buy, food to order in and yes, we have to get the decorative lights installed across the house. It is easy to forget the decorative lights and all its fitting has been languishing in the attic for twelve whole months. During this time, the lights have been subjected to great changes in temperature and humidity. Decorative lights can easily become dangerous to use. It is important to read carefully the manufacturers' instructions before installing decorative lights to ensure all fire safety considerations are met. Every year there are hundreds of decorative light fires and many could have been prevented with just a little care and attention. Lay out the lights on the floor and carefully check for damaged, loose, broken or frayed wires. Look for burning and discolouration on the wires, and if unsure, replace the lights. Do not be tempted to use damaged lights as this will be a serious fire hazard. Broken bulbs should always be replaced with bulbs of the same type and rating as those originally supplied with the light set. On some lights, a broken bulb can be removed and the rest of the lights will stay on, while on other sets, the bulb must be replaced or none of the lights will work. Do not cut a broken light out and tape the wires back together, this is highly dangerous practice. More attention needs to be given to outdoor lights which will have to bear all weather conditions. Do make sure outdoor lights are connected using a circuit breaker protected socket. All outdoor failed lights MUST be replaced to prevent the risk of fire from overheating. Do ensure all plugs and adapters are kept dry and plugged in indoors, even if the lights are used outdoors. It is most important to switch off and unplug all the lights before going to bed. Many decorative light fires occur when the occupants are asleep and are unaware there is a problem until it is too late. It is important to keep all the lights away from decorations and materials that can burn easily and pay special attention to installation in damped areas. Never ever use decorative lights outdoors unless they are purposely designed for use outside. Using lights designed for indoor use outside is particularly dangerous and will be a serious fire hazard. Never attempt to connect two different lighting sets together and never connect lights to the mains when they are still in their packaging as this will cause them to quickly overheat. Don’t be tempted to remove or insert lamps when they are still connected to the mains supply. Do not overload sockets as this is a serious fire hazard and avoid the use of extension leads or adaptors. Never ever attempt to repair faulty lights. Decorative light safety is of paramount importance. If you are unfamiliar with electrical safety issues, have you thought of fire safety training? 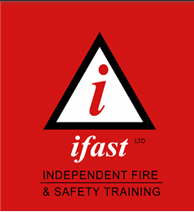 Take a look at http://ifast-online.co.uk/fire-safety-training-courses. Do remember if you’re in doubt about the safety of your lights, replace them immediately, the safety of you and your family are of the utmost importance. Compared to other New Year expenses, lights are relatively cheap to buy and replace.